The Labour Party developed an electoral pact with Māori voters in the 1930s after forming an alliance with the religious leader T. W. Rātana. The Rātana movement and Labour candidates held the four Māori seats until the 1980s. 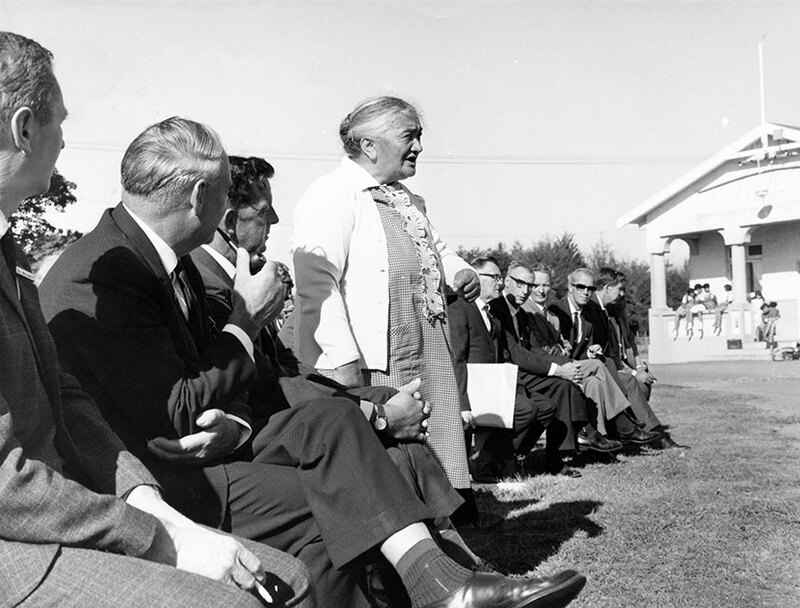 This 1966 photo shows MP Iriaka Rātana speaking on a marae in her electorate. She had married two sons of T. W. Rātana in succession, and succeeded the second as MP for Western Māori in 1949, becoming the first Māori woman MP.